This page shows the latest Abasria news and features for those working in and with pharma, biotech and healthcare. Meanwhile, in Europe the biosimilar is approved and currently branded as Abasria, though the company wants to have a global brand name for the product. In Europe the Committee for Medicinal Products for Human Use (CHMP) recommended Lilly and Boehringer's insulin glargine under the name Abasria as a biosimilar treatment for people with diabetes. half of the year. 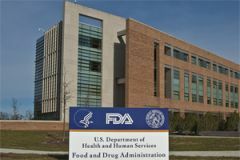 In June the first biosimilar Lantus - Boehringer Ingelheim and Lilly's Abasria - was recommended for approval in the EU. This growth is to be driven by the patent expiries of major biological products such as Sanofi's insulin Lantus, with Lilly and Boehringer Ingelheim partnering on a copy called Abasria.